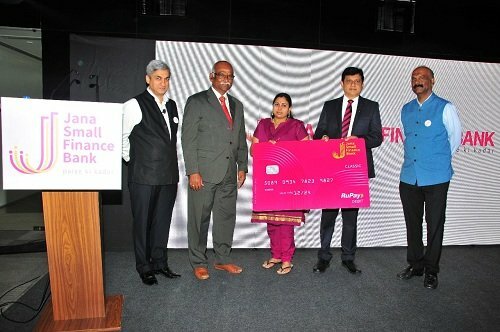 Jana Small Finance Bank today announced the commercial launch of its banking operations. In line with Government of India and Reserve Bank of India’s ‘Financial Inclusion’ agenda, the transition from a micro finance company to a bank is set to enable more than 45 lakh existing loan customers of Jana Small Finance Bank to come into banking ecosystem by the end of 2018. True to its slogan – ‘Paise ki Kadar’ i.e. value for money, the bank is truly focused on providing better returns on its customer’s hard-earned money and hence is set to offer an inaugural rate of 8.5 percent on Fixed Deposits for 366 days. For senior citizens, the rate is up to 9.1 percent for the same tenor. Also, to further value its Group Loan Customers’ hard-earned money, the bank will offer zero-balance – Basic Savings Bank Deposit Account. 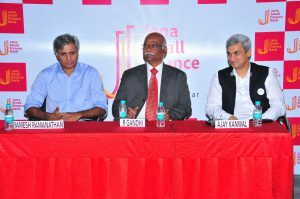 Mr. Ajay Kanwal, MD & CEO, Jana Small Finance Bank said, “Jana Bank is excited about its journey to partner an aspirational India grow especially in the rural and unbanked sector. This sector is large, challenging and has great opportunities for a bank dedicated on this mission. We are also delighted that we will give opportunities for banking careers in approximately 500+ districts that we plan to serve across India. Given our experience, we aim to be a household name serving all needs of our customers, both individuals and businesses.” For more than a decade, the Jana team has been striving to provide access to formal financial system. Recently, Capital Finance International (CFI.co), London, acknowledged this contribution of Jana team and adjudged it as The Best Inclusive Financial Service – India 2018. The bank has started its banking operations with Capital Adequacy Ratio (CAR) of about 35 percent and loan book of INR 76 billion as on March 31, 2018. For covering its extensive customer base, the bank has launched 157 bank branches, which includes 12 branches in unbanked rural areas. By end of 2019, Jana Bank’s 500 branches will be operational in 19 states, post conversion of majority of its micro finance storefronts into bank branches. 150 of our branches will also cater to small and medium enterprises. For bolstering its current manpower of 15,000, it is planning to hire 1000 employees by end of current year. At the onset, for catering to the diverse needs of customers, the bank will continue with micro finance lending and in unison it will extend business loans, agri loans, affordable housing loans and gold loans.